HTC’s newest flagship device HTC Butterfly is a 5 inch screen Android Jelly Bean Phablet. HTC has equipped it with a powerful Quad core 1.5Ghz Krait processor and Adreno 320 GPU. The new HTC Sense UI 4+ gives it a new attraction. We are here with a detailed tutorial that will help you with unlocking bootloader and the root HTC Butterfly using All in one tool. You can also install CWM recovery to create a Nandroid Backup of your device or install any other custom firmware available online. Warning: You are proceeding with rooting of your device, the warranty the liable to get void. Therefore, please proceed at your own risk. Download HTC USB Drivers and All-In-One Toolkit from here to your computer. Install HTC USB drivers on your PC so as to have all necessary drivers for your HTC Butterfly. Extract the “All-In-One Toolkit” into a folder onto the desktop. Step 2: Now, connect your phone to the PC using original USB cable i.e. the cable that came with it. Step 3: Next, from the folder where you have extracted the “All-In-One Toolkit”, double-click on “.exe” file. Step 4: Now, straightly go to “Get Token ID” and then press “Go”. Step 5: Next, you will see a pop-up window, then wait for the code to run completely. Step 6: Now, right-click on the pop-up window and then select “Mark”. Step 7: Next, left-click to select on the code which starts from “Identifier Token Start” until “Identifier Token End” and then right click on the same. Step 8: Now, again from the Toolkit, click on proceed to “Submit Token ID” then select “Go”. Step 9: Next, a new window will pop-up, just scroll down the page and paste the code under “My Device Identifier Token” and then click on “Submit”. Step 10: You will soon receive and e-mail in the HTCDev account. Step 11: Just download the file attached with the email. Step 12: Now, copy and paste the downloaded file to data folder within the folder which you have extracted earlier. Step 13: Next, click on “Unlock Bootloader” from the “All-In-One” toolkit and then click on “Go”. Step 14: You will have to grant permission that you want to unlock the Bootloader by selecting “Yes”. Step 15: As soon as the process has completed, your phone will automatically reboot. Step 16: Now, download the CWM Recovery file from here to your computer and then place it to the “All-In-One Toolkit” folder. Great! 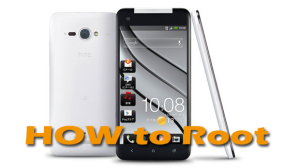 If you follow the article you would be able to root and your HTC Butterfly and even install ClockworkMod Recovery on in it. Share your queries with us, we will love to hear from you.